Some good news; After some experimentation, I found a way to make Glasgow V2, including train, work in Metrosimulator 3.14. Previously, I believed release had to wait for version 3.15 to be released, as the route would conflict with the Glasgow version that has already been build into 3.14. But I managed to make some modifications to solve that problem. I am currently running some tests. Expected release; this weekend. Awesome! I can't wait to play it. And what about Rijndam 2022 version 1.3? Could it also be released as an add-on for beta 3.14? Or we'll have to wait for the next release? I can do some research into that (see if the route will work under 3.14 as a start), but that route also requires the new mainline trains, which in turn do use 3.15 features. They'll probably be usable under 3.14, but some functions won't work. But Glasgow is on the list first now. @Sjoerd ok, thanks for your answer. 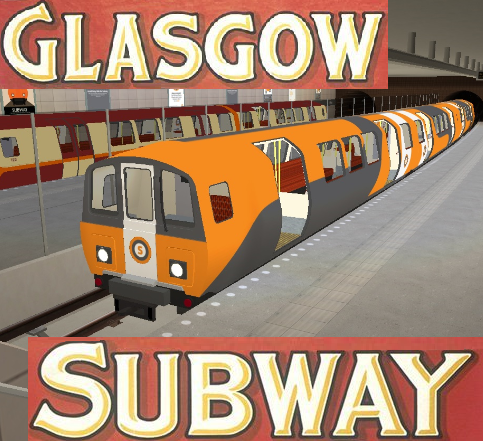 Glasgow version 2 (including trains) has been released. Download at the Wiki page. Enjoy! Looks pretty neat Sjoerd! It doesn't have any activities, no? It has all the activities the first version had, but all have been adapted to use the new trains. And one activity extra. If you do not see them, read the installation instructions again.